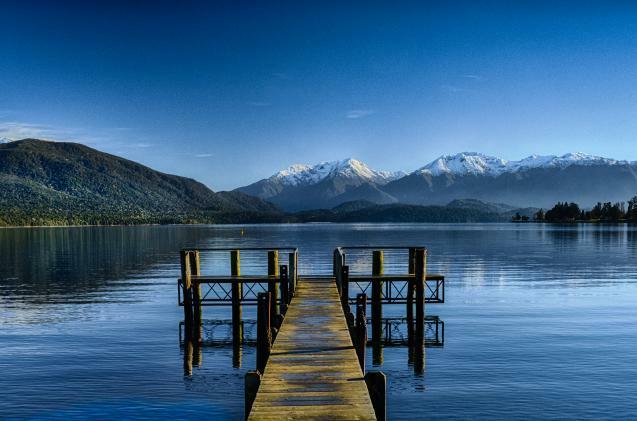 Te Anau township is on the shores of the stunning Lake Te Anau. It is the second largest lake in New Zealand and is popular for everything from boat cruises to kayaking trips to fishing to jet boating. Our motel is just 100 metres from the lake shore. We’re also about five minutes’ walk from the township with its restaurants, cafes, and shops. The area has about 3,500 permanent residents but that number swells with tourists during the summer months as it is one of the most popular tourist destinations in the country. Lake Te Anau is one of the reasons for this, but Te Anau is also the gateway to Fiordland National Park. It is the largest and most rugged National Park in New Zealand and offers a range of different activities in addition to the beautiful views. Walking and hiking are particularly popular with trails like Milford, Kepler, Routeburn, Hollyford, and Greenstone being among the best. If you’re coming to Te Anau to explore Fiordland National Park, our lodge and motel accommodation is the ideal choice. In addition, the town itself has plenty of facilities to help you prepare for your hiking trip. This includes car parks to leave your car, shops for buying supplies, plus outdoor clothing and equipment shops. Whatever you plan to do on your trip, we’d love if you would stay with us here at Alpine View Motel. 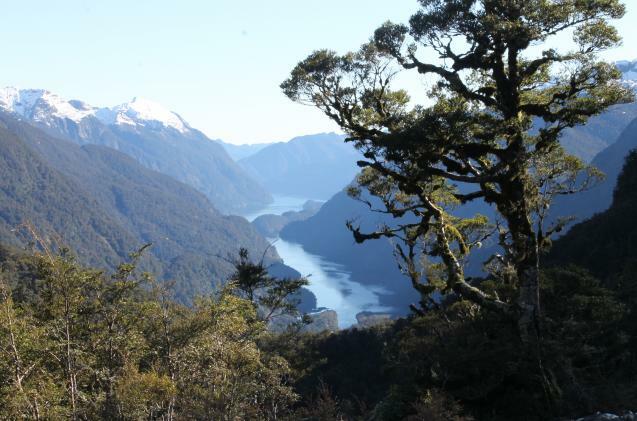 We offer Fiordland accommodation with a lake view aspect, multi-room motel units, studio apartments, and more. Book today. Guests choose us when they are looking for Milford Sound accommodation because we are close to this spectacular natural attraction and we offer all the facilities, comfort, and luxury that you need. It will take you about two hours to get to Milford Sound from the hotel. The drive is fantastic, with mountains, rivers, and lakes providing the backdrop. Once in Milford Sound, the stunning natural landscape will take your breath away with its towering mountains, rugged countryside, and spectacular waterfalls that lead to lakes and rivers. The area is popular for boat cruises and kayaking tours as this is the best way to fully experience Milford Sound. It’s not just the countryside you’ll see either as there is also the wildlife. If you’re lucky, you might even see whales, dolphins, seals, and penguins. You should expect it to rain but don’t let a forecast for rain change your plans. Milford Sound gets seven metres of rain every year, so rain is as much a part of the area as the landscape. In fact, water running off the treeless cliffs as a result of heavy rain is one of the most incredible and unique sights that Milford Sounds has to offer. To find out more about our accommodation close to Milford Sound in New Zealand, please get in touch with us today. Doubtful Sound is another spectacular location you can easily get to from Alpine View Motel. It is known as the Sound of Silence, a name you can only really appreciate after visiting – it’s an experience you will never forget. To fully appreciate it, however, it’s important you book accommodation that is close to Doubtful Sound. This is because it is one of the most remote locations in New Zealand. Even when you stay with us and start your journey in Te Anau, it can still take a day or two to get there. It’s worth it, though, not least because of the sheer scale of Doubtful Sound. In fact, it’s about three times longer than Milford Sound with many additional branches. Again, boat cruises and kayaking adventures are popular ways of experiencing Doubtful Sound, with most excursions starting in Deep Cove.